I have recently become the new owner of a property, but I have not received the bill for this property. Am I responsible for paying this bill? 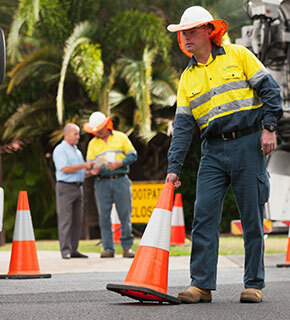 There is often a time lag between when you become the new owner of a property, and when Queensland Urban Utilities is formally notified of this change of ownership by the Department of Natural Resources and Mines (DNRM). As a result, the bill may have been sent to the previous owner. When we receive formal notification from the DNRM that you are the new owner of the property, we will then mail you a copy of the bill. As the new owner of the property, you are responsible for paying this bill, but you should check your property settlement papers to ensure you have been credited for the water supply and sewerage charges incurred by the previous owner. Your conveyancer or solicitor is responsible for ensuring this has occurred, and you should contact them if you have any questions. What should I do when buying or selling a property? If you are buying or selling a property, please make sure your solicitor requests a special meter reading from Queensland Urban Utilities. This enables your solicitor to identify and calculate all the water usage and access charges incurred by the previous owner up to the date of settlement. This ensures the purchase price of the property is adjusted according to these charges at the time of settlement. When you receive your bill for your new property, it may still include the water usage and access charges of the previous owner (depending on when in the billing cycle you purchased the property). You will be required to pay these charges as you have already been reimbursed for the previous owner’s charges in the settlement process as outlined above. Request a Special Meter Reading (SMR).